my eyes are heavy with sleep…. to be profound and deep. 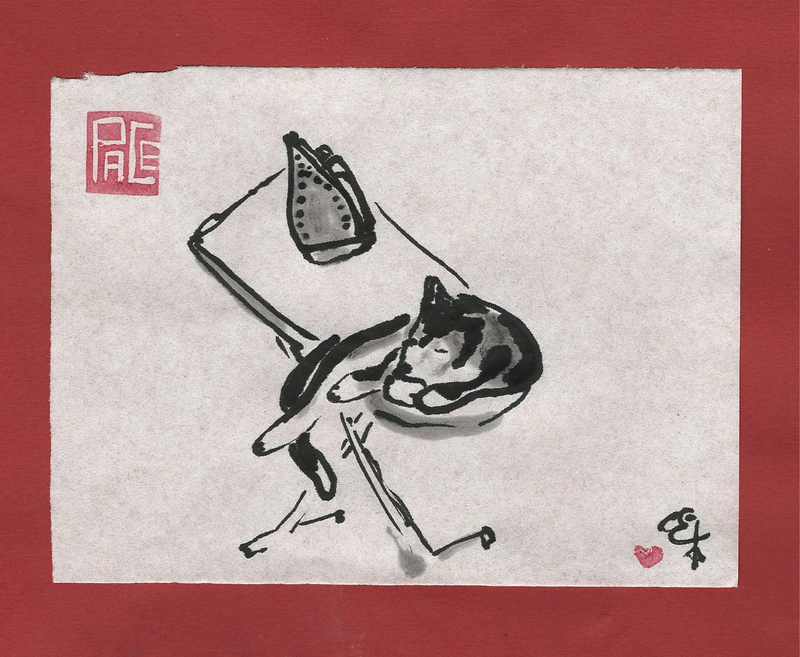 This entry was posted in The Now and tagged brush painting, calico cat, cat, change of plans, domestic short hair, exhausted, funny poem, humor, iron, ironing board, irony, poetry, spiritual by-pass, spirituality, sumi-e, truth, wrinkles. Bookmark the permalink.